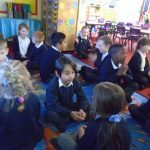 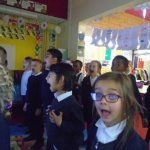 In Music today we listened to our new song for this term – Ho, Ho, Ho. 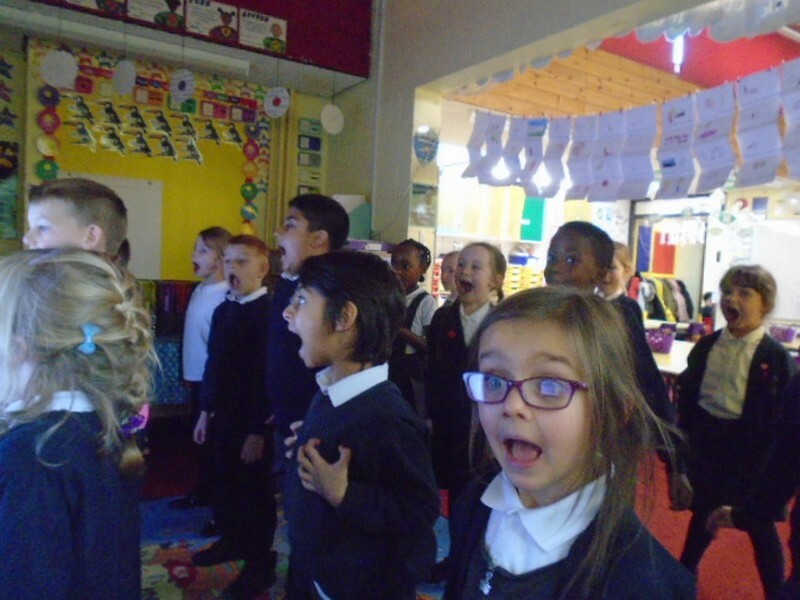 It made us feel all Christmassy already! 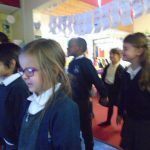 We played some games to practise finding the beat of the music and then warmed our bodies and faces up by doing some fun exercises. 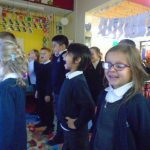 We are really looking forward to learning this song as it contains singing, rapping and instrumentals.